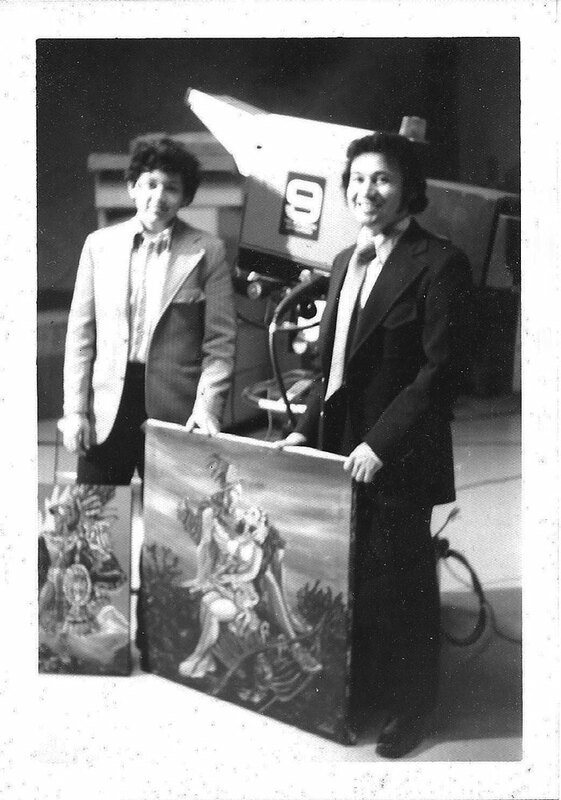 The young Francisco and his older brother, Vincent, at Chicago’s WGN-TV station in 1974. Vincent was already an established artist and muralist in South Chicago, and inspired his younger brother to become a painter. They are pictured here with two of their paintings that were mentioned during their WGN interview about up-and-coming artists.